Lack of basics will undermine Madaraka Express – Mohammed Hersi . A hotelier who is passionate about Tourism & Governance in Africa. It is my pleasure to welcome you to my blog. This morning I chose to to check out the Miritini station. I couldn’t believe my eyes , travellers were up queuing as early as 6.30am for a 9am trip . To my fellow Kenyans meanwhile buy your ticket in advance. I asked on site how many seats are remaining and they were hardly 230 yet the queue looked more than that which means many will miss a seat what a waste of time. Not nice at all. 2. 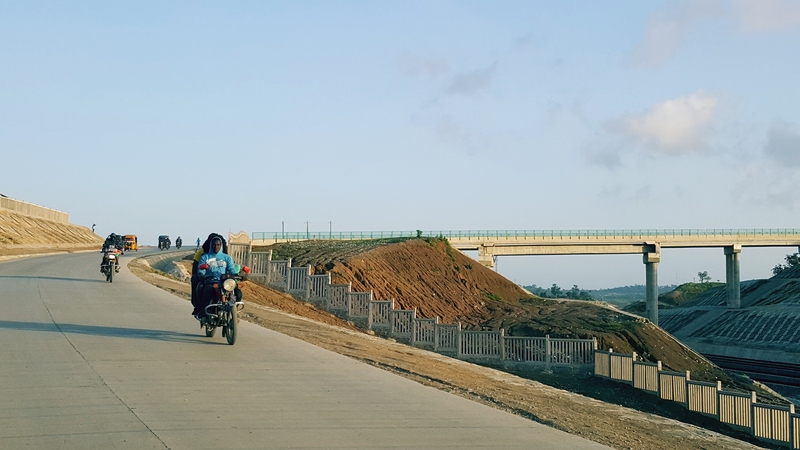 The SGR station was under construction for the past 3 years , did we just wake up to realise that a road is needed for accessibility? These are the sort of things that make Africa ( Read Kenya ) look bad. We attend the best schools and many attend ivy league universities then work for govemermt, travel more often and they see the best in the world but when it comes to being proactive we fall face flat. What execution do these guys learn in school / university? I believe it’s lack of passion in what they do and lack of sense of urgency . Many behave like they have 36 hours in a day. The chosen contractor is only making an already bad situation worse . 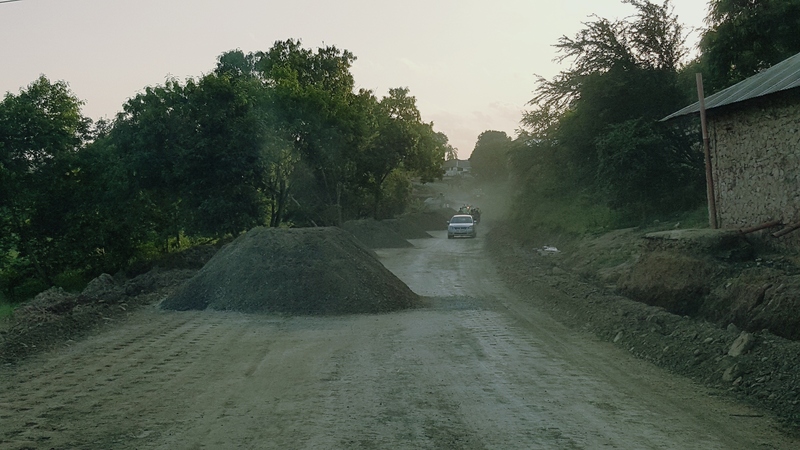 He has left mounds of murram to look busy yet he has relegated an already narrow road to a useless single lane that gets clogged . Why are we NOT opening the port Reitz access road for those heading to the station ? It is mortorable. When you are behind schedule you work 24/7 . Ngong road in Nbi a bigger project is progressing faster than the road leading to Miritini station. It’s all about the left hand not knowing what the right hand is doing and bottom line is lack of accountability. 3. Traffic police / NTSA / county traffic marshals get to work early enough to control the impatient truck drivers using the same road as they try to avoid the Msa Nbi road after Changamwe roundabout. 4. Well looks the happy guys for now are the TukTuks and Boda Boda ferrying passengers who are trying to beat the gridlock. 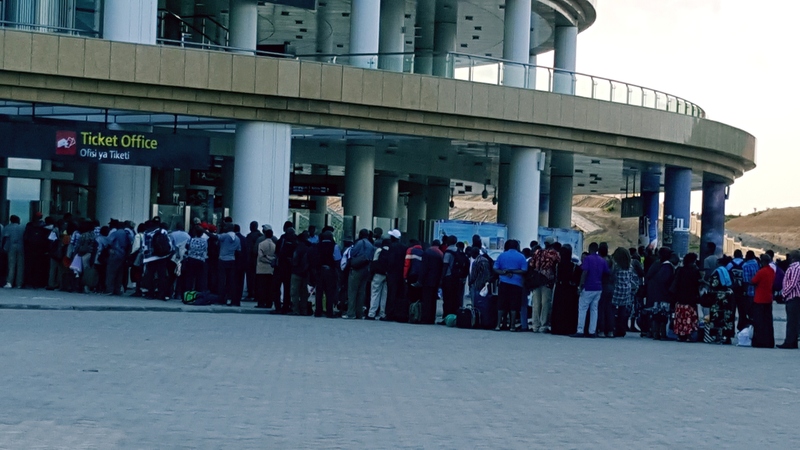 It’s good they are earning a living, I am happy for them but a world class station that is meant to ferry a 1200+ passengers cannot depend on motorcycles for drop off. I am sorry it does not work this way. Talk of a grand beautiful project badly executed when it comes to process mapping . Kenyans are excited and happy about these huge project let us NOT allow a few officials to sleep on the job. I am sure my piece will reach the relevant officers and their superiors. World class is not attained on paper, you have to execute the same on ground. As always I remain an optimist but this is a complete let down by the relevant authorities. In private sector you get FIRED, you are shown the nearest door to exit. Previous PostTo Kenya Railways , its time to get your ducks in a row. I’m a great believer in railways, but Kenya Railways is turning into a prize example of how not to do it. Ever since the railway opened I’ve been trying to find a way to book a ticket to try the railway. I know foreign tourists do not apppear to be a high priority for Kenya railways ( or for the KTCA if you read these posts ). We need to be able to buy tickets a reasonable time before travelling to enable us to make hotel reservations and finalise travel plans. We can’t book on line as we don’t have MPESA even assuming we could get through. Since the railway open I’ve sent them 17 e mails -no answer, phoned five times – no answer. Through trip advisor contacts we had been given three kenya travel companies, who it was claimed could get us tickets. We sent them emails, but……. yes you’ve got it – no answer. I’ve now given up, I’ll see if I can do something through the hotel when I get to Kenya, but will probably not bother – What a way to run a railway.Does nobody in Kenya answer e mails any more? We had sent e mails on the subject of ziplock plastic bags ( Don’t get me wrong, I think the plastic bag ban is great, but once again the foriegn tourist was not thought about.) To travel to Kenya we have to clear european airport security which demand that any liquids are in a clear 20 cm x 20 cm ziplock bag (NO ACCEPTIONS). We could get rid of them on arrival, but would then have nothing for our ongoing flight on return to Europe. Couldn’t you at least have ziplock bags for sale in the duty free shops? Reading the legislation it would appear ziplock bags are OK not being a single use bag, however your regulatory body appears to have said they are included in the ban. I’ve tried to get confirmation by e mail from the Kenyan Embassy, Your reg body, Kenya Tourist Board , all of whom on their sites say send us your questions, what they don’t say is that you won’t get an answer.